Central Illinois drivers in the market for a brand new car might be asking themselves where the 2014 Honda Fit is. 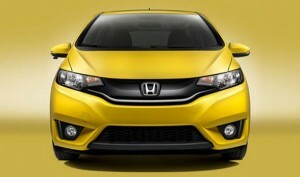 The short answer is that the 2015 Honda Fit is coming soon! The long answer is that the 2013 Fit —available now—was so good that Honda decided to keep it around for a little while longer and bypass the 2014 model year. So, while we’re sure many of you know all about the 2013 model, what is it about the 2015 Honda Fit that’s got driver’s so excited? Let’s take a look. We’re really excited to get the 2015 Fit into our showrooms, as the vehicle has been completely reimagined. Built with a modern, sporty, fun-to-drive aesthetic, this new Honda is the pinnacle of the automaker’s goal to develop a high-tech vehicle for a new generation of drivers. Put simply, Honda has done an incredible job of revising their vehicle for the next model year, but if you’re anything like us, you need to take a test drive to be sure. While the 2015 Fit is not yet available, rest assured that once it is, we’ll be happy to put you behind the wheel. If you want to learn more about the 2015 Honda Fit, including when you can get behind the wheel, contact one of our sales experts at a Central Illinois Honda Dealer near you. We can’t wait to put you behind the wheel of your brand new Honda.